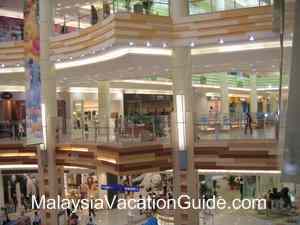 The AEON Bukit Tinggi Shopping Centre is also popularly known as Jusco Bukit Tinggi and is the newest shopping centre in Klang, the royal town of Selangor. This mall was opened to the public on 24th November 2007 with over 5,000 parking bays. The interior view of the modern Jusco Bukit Tinggi shopping centre. With the theme, "Experience The Difference", this mall is one of the shopping complex that the residents of Klang and the surrounding go for their shopping, entertainment and leisure. The place is usually packed during the weekends. There are over 160 retail outlets which feature branded goods such as Guess, Timberland and Hush Puppies. Jusco Supermarket is the main anchor tenant here. It occupies all three floors. If you are regular customer of Jusco, you will be able to collect shopping points by joining the JUSCO membership card. All types of household goods can be purchased here. 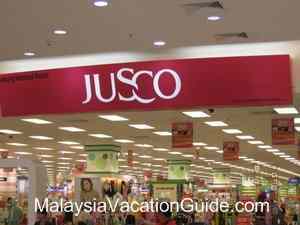 Jusco is the main anchor tenant here. 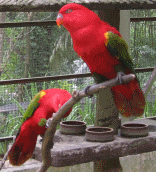 It is also the biggest in Malaysia. 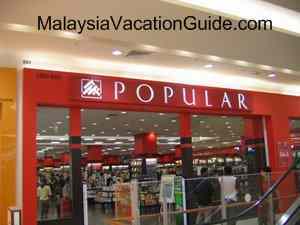 The Popular Bookstore is another place that you can go to purchase books and stationary There are many titles that you can choose from. Members of Popular are also given additional discounts for some of the items here. Pos Malaysia has a branch at this mall and is located at the First Floor. You can purchase stamps, renew your license, post your letters and perform other related transactions here. Pos Malaysia branch at AEON Bukit Tinggi, Klang. 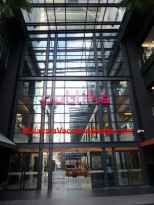 TGV Cinema is located here as well as Green Box Karaoke to cater for your entertainment needs. This mall is located at the road to Banting. If you driving from Petaling Jaya or Kuala Lumpur, the best way to come is by using the KESAS Highway to avoid the traffic jam that you will encounter if you were to come using the Federal Highway. Construction of the flyover at Klang town is causing inconvenience to the users at the moment. Once you are at KESAS Highway, follow the direction of Klang/Banting and you will not miss this place.